At a last, the long awaited release of the original Jelly Bean update is finally on the rolls in other European countries. It first arrived in Poland and then Sweden got it. Now, owners of the revolutionary Galaxy S3 in the UK can check out their phones on a wireless connection for the OTA update. 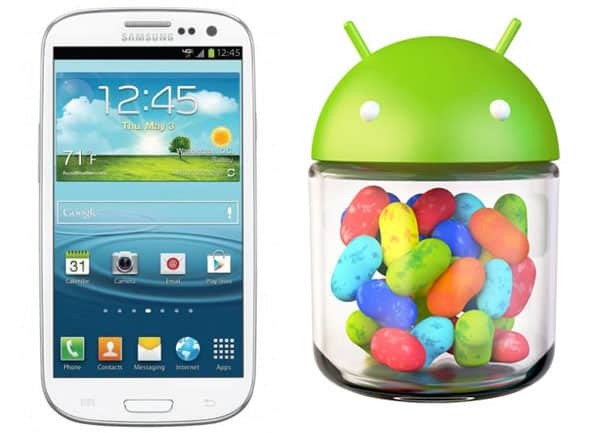 Other countries in Europe that will receive the Jelly Bean update are: France, Romania, Austria, Spain, Ireland, Switzerland and Italy. The new update comes as an improvement to the older Ice Cream Sandwich OS that the Galaxy S3 came out with. The only ones that still hope for at least a more certain release date are the Americans. It seems that US owners of the S3 don’t know for sure when they will receive the update because the only thing they know is a vague date, that’s “in the upcoming months’. Check out your <System Update> section in your Galaxy S3 or install Samsung Kies and start rolling the new Jelly Bean 4.1 OS.